It can be difficult to say goodbye to your long-lasting truck but once you see what the 2019 model year trucks have to offer you’ll be jumping at the opportunity to let it go. Powerful yet efficient engine options make it easy for you to find the performance and fuel economy that you need on a daily basis and interior amenities make the drive to and from the job site more comfortable and relaxing than ever before. Two of the most attractive and accommodating trucks offered for the 2019 model year are the Chevrolet Silverado 1500 and the Ram 1500 and you can see all of their similarities and differences right here below with our side-by-side comparison. As you can see from the chart above the 2019 Chevy Silverado 1500 and the 2019 Ram 1500 have very similar standard engine specs but the 2019 Silverado does provide more horsepower and towing ability. 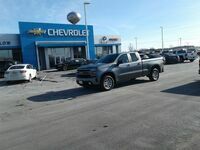 Both of these trucks also offer engine upgrades from their standard engines. 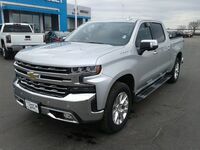 The 2019 Chevy Silverado 1500 makes available a 5.3L V8, a 6.2L V8, a 3.0L I-6 Turbo-Diesel, and a 2.7L Turbocharged I-4 while the 2019 Ram 1500 only offers a 5.7L HEMI® V8. With the extended engine options of the 2019 Silverado 1500 it is easier to get the precise performance that you need on a daily basis without sacrificing any fuel economy. The 2019 Chevy Silverado 1500 and the 2019 Ram 1500 have two cabin sizes to pick between as well as two cargo bed lengths for passenger and cargo versatility and to ensure that everything and everyone fits with ease. Both trucks also receive large color touchscreen displays but the standard display for the Chevy Silverado is 7” while the standard screen of the Ram 1500 is only 5”. The 2019 Chevrolet Silverado 1500 also gets equipped with standard Android Auto™ & Apple CarPlay™ something that can only be found inside the 2019 Ram 1500 when you move up the trim level ladder. On the interior of both the 2019 Silverado 1500 and the Ram 1500 there is the option of heated and ventilated front leather seats for premium comfort on cold winter days and warm summer nights. There are many features that the 2019 Chevrolet Silverado 1500 and the 2019 Ram 1500 share but it is the Silverado’s diverse engine lineup and better standard interior technology equipment that propels it into the winner’s circle ahead of the 2019 Ram 1500. 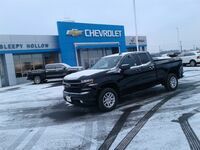 You can take the 2019 Chevy Silverado 1500 for a test drive today at Sleepy Hollow Auto in Viroqua, WI. 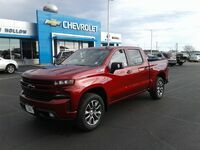 Interested in a 2019 Chevrolet Silverado 1500?